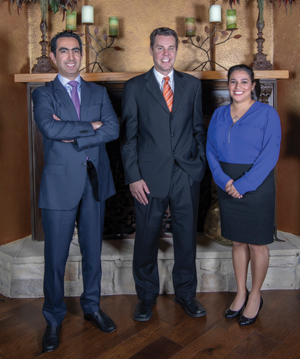 Dr. Filiberto Cedeno Laurent, Dr. Eric Humble and Dr. Mirtha Gonzalez. What people find in abundance at Houston Dermatology and Plastic Surgery are opportunities to recover what they may have lost through trauma or the unavoidable process of aging. What they also find is a means to enhance their quality of living, from both an emotional and physical standpoint. Due to the professional skills and talents of Dr. Mirtha Gonzalez and Dr. Filiberto Cedeno Laurent, Houston Dermatology and Plastic Surgery has quickly become a popular practice for people on a beautification journey. Both Dr. Gonzalez and Dr. Cedeno share a philosophy that is the foundation of Houston Dermatology and Plastic Surgery — the ultimate objective is to help patients regain or develop confidence so they can find more joy in life. 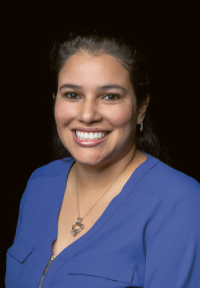 “It is my goal to help patients realize an outward appearance that fits closer to their personality and look,” said Dr. Gonzalez, who completed her general surgery residency in the prestigious Michael E. DeBakey Department of Surgery at Baylor College of Medicine and plastic surgery residency at the University of Miami/Jackson Health System. 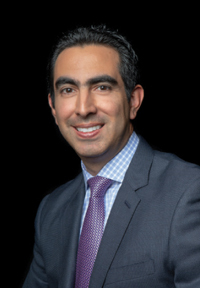 Dr. Gonzalez is also a published surgeon, with contributions to Bergman’s Comprehensive Encyclopedia of Human Anatomic Variation in 2016, the Journal of Laparoendoscopic & Advanced Surgical Techniques in 2015 and Plastic and Reconstructive Surgery in 2018. With a doctorate degree in Immunology from Harvard Medical School, Dr. Cedeno trained as a dermatologist at the University of Pennsylvania, the oldest and one of the most prestigious dermatology departments in the United States. He completed a one-year fellowship in cutaneous oncology and has concentrated his latest efforts in the field of procedural and cosmetic dermatology. Having received numerous national and international awards, Dr. Cedeno’s research has been presented in numerous conferences around the world, and his work has been cited by nearly 500 scientific publications. Dr. Humble, who is a board-certified plastic surgeon fully trained in plastic, reconstructive, head and neck surgery, only practices at his Sugar Land office, which features an American Association for Accreditation of Ambulatory Surgery Facilities (AAAASF) certified on-site operating room. Still, Dr. Humble’s approach to beautification is evident at both of his offices. His approach is simple, yet extremely effective: offering the safest and up-to-date therapies, procedures and surgeries to fit individual needs. The Houston Dermatology and Plastic Surgery medical spa has increased the facilities’ services to include advanced non-surgical procedures, often referred to as aesthetic procedures. Some of the traditional procedures offered in the medical spa are botulinum toxin and fillers; however, the spa also offers procedures such as CoolSculpting, a fat-freezing treatment designed to reduce fat volume reduction; Micro- Needling for treatment of moderate acne, fine lines and wrinkles, lax skin, burns, stretch marks, as well as skin texture and pore size; hair rejuvenation and Ultherapy, the aesthetic option to tighten, lift and tone skin. Dr. Gonzalez knew from an early age that she wanted to be a doctor, just like her father who has a pediatric practice, but it wasn’t until she experienced the surgical specialties in medical school that she knew she wanted to be a surgeon.